This report summarizes a study undertaken in Myanmar between February and April 2016 to provide the Financial Regulatory Department (FRD) of the Ministry of Finance (MOF) and Myanmar’s microfinance (MF) industry with insights for improving the country’s microfinance framework. 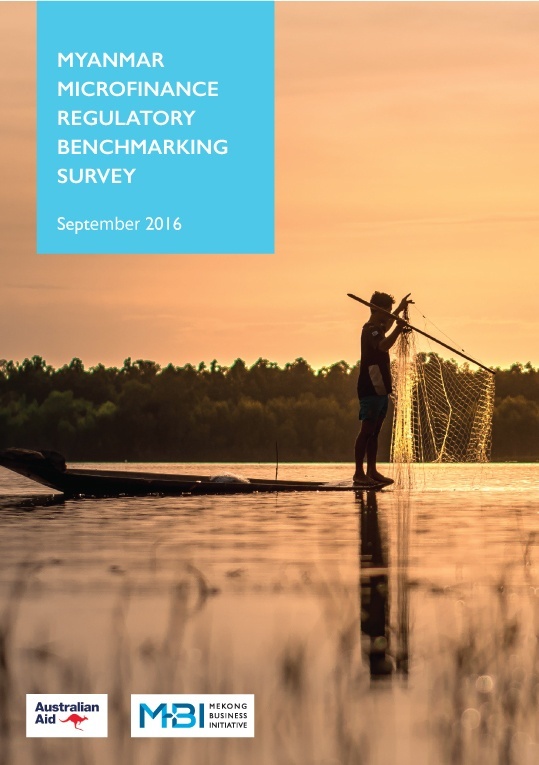 The goal of this study was to benchmark Myanmar’s microfinance regulations against those of several exemplary countries (Cambodia, Indonesia, and the Philippines), and give the FRD and the MF industry useful comparisons for their dialogue on new regulations. Immediately before formal publication of this paper, the FRD issued several new directives to improve the environment for commercial microfinance—and financial inclusion—in Myanmar. The authors hope that this paper will also contribute to greater financial inclusion, while at the same time adequately protect consumers.